Mark Lemon, eldest son of Martin Lemon, a successful hop merchant, was born in London on 30th November 1809. Mark's father died in 1817, and so at the age of fifteen he was sent to his uncle, Thomas Collis, a hop merchant in Boston, Lincolnshire, to learn the business. Although Lemon became manager of Verey's Brewery in Kentish Town, he really wanted to be a writer. He had a series of successful plays performed including The Little Gypsy, Hearts are Trumps and The Silver Thimble. Lemon also contributed verses and articles to several magazines including the Illustrated London News, Illuminated Magazine and Household Words. 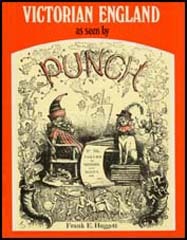 In 1841 Mark Lemon joined with Henry Mayhew, a fellow journalist and playwright, to start a a new journal, Punch Magazine. The two men were initially joint-editors and recruited a group of talented writers and illustrators, including Douglas Jerrold, John Leech and Richard Doyle. Lemon and Mayhew held liberal views and in the early years the journal campaigned against injustice. As Lemon pointed out in The Moral of Punch that appeared in the first edition, the journal hoped to help, "destroy the principle of evil by increasing the means of cultivating the good". 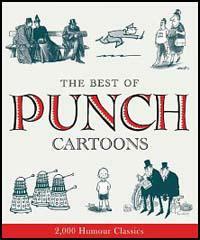 At first Punch Magazine failed to make money and in December 1842, it was sold to Bradbury & Evans. Mark Lemon was reappointed as editor and Henry Mayhew was given the role of "suggester-in-chief". Mayhew wrote his last article for the journal in February, 1845 and for the next couple of years concentrated on his railway magazine, Iron Times. Under Lemon's guidance, Punch Magazine became a financial success. It had considerable political influence but became best known for employing the most talented humorists and cartoonists in Britain. Lemon continued to write plays and novels. During his life he produced over sixty plays including Mr Nightingale's Diary with Charles Dickens. Mark Lemon, died at his home, Vine Cottage, Crawley, on 23rd May, 1870.